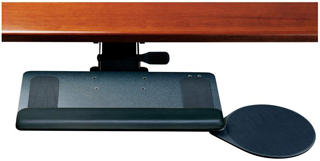 The Humanscale 900 Standard Keyboard Platform has been designed to ensure that users type and mouse within their neutral reach zone creating a safe comfortable and sustainable work environment. Your keyboard system can be configured to meet your specific needs. carry a limited lifetime warranty as well. standard keyboards and fit most desks using the variety of configurations available.